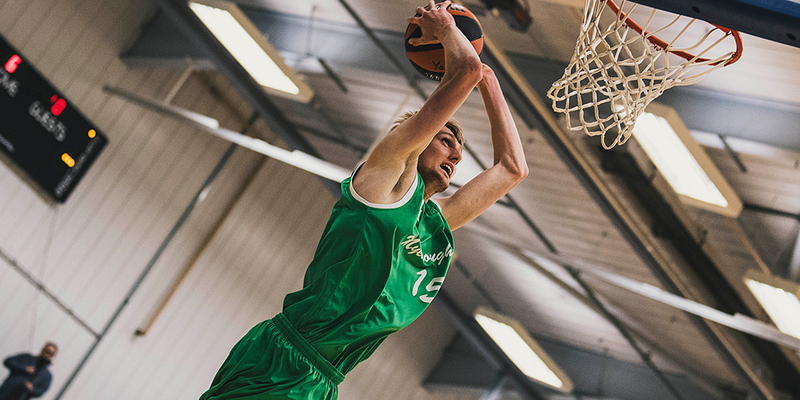 SHEFFIELD - Jamie Gray scored 12 of his game-high 19 points before halftime and Myerscough rebounded with a 103-66 thumping of Sheffield on Wednesday. Bradley Kaboza also had a big first half where he chipped in 12 of his 15 in the opening 20 minutes for Myerscough (10-2), which had five players finish in double figures. Lewis McGlasson added 17 points, including three 3-pointers. Ruari Doherty and Louis Sullivan each recorded their first game in double figures in EABL play. Doherty knocked down a trio of threes en route to 13 points all coming over the final 11 minutes and Sullivan had 10 in the fourth quarter alone. A Harrison Bell 3-pointer brought Sheffield, which trailed by nine at halftime, within 48-40 early in the third quarter, but Myerscough used runs of 7-0, 8-0 and 10-2 to grab a commanding 72-48 advantage. Myerscough then hit six 3-pointers in the fourth quarter and a McGlasson three pushed his team over the 100-point mark for a fourth time this season. Bell led the way for Sheffield (1-11) with 17 points. JJ Wright and Reyad West each added 11 in the loss.